As the pioneer and leader of office ergonomics, Humanscale makes products that allow workstations to adapt to the user, not the other way around. Founded in 1983 by CEO Robert King, with a focus on high-performance tools that support a healthy, more active way of working, Humanscale is now the global ergonomics leader with a reputation for designing intuitive products that improve the comfort and health of office workers. Humanscale solidified its status as a workplace ergonomics pioneer and true market leader with the introduction of the Freedom chair in 1999, created by renowned ergonomics designer Niels Diffrient. The innovative executive task chair broke new ground by combining unprecedented functionality with minimal manual controls. Humanscale followed suit with a series of Diffrient seating designs including Liberty, Diffrient World and Smart chairs. Humanscale’s latest products continue the company’s legacy as a leader in innovative, award-winning, user-focused design and include the groundbreaking Element Disc LED task light, the Ballo stool and the QuickStand height adjustable workstation. 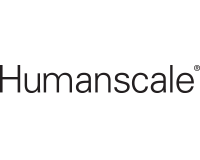 Humanscale products are available in Australia exclusively through Schiavello.